Requires the Ecover 15L Tap for use. Camomile and Marigold Washing Up Liquid is the only product in Ecover’s range which contains a small percentage of animal ingredients i.e. milk whey. Milk whey is a by-product of the cheese industry and would otherwise be thrown away. All their other products are suitable for vegans. 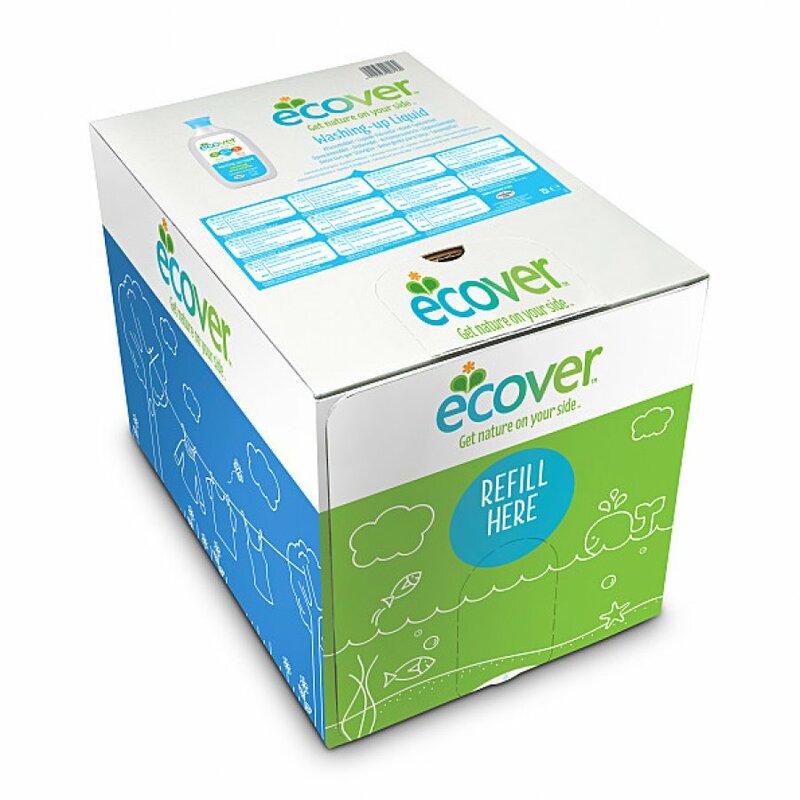 Ecover add milk whey to its Camomile and Marigold Washing Up Liquid to ensure that it is extra kind to the hands. People who suffer from skin allergies or eczema can use it without putting on gloves. Our Lemon and Aloe Vera Washing Up Liquid is an excellent alternative for those who prefer not to use a product containing milk whey. There are currently no questions to display about Ecover Washing Up Liquid Camomile & Clementine Bag in a Box 15L.